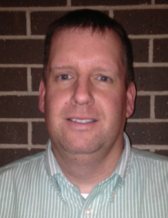 Thorne Crest Retirement Community in Albert Lea is proud to welcome Chris Schulz as the new Administrator. Chris has over 10 years of experience in long term care and is excited to be joining Thorne Crest. Chris said “Senior care is my passion. I am really impressed with the team working at Thorne Crest and excited to work with them to deliver the very best care and service to the residents who make Thorne Crest their home” Chris lives in Austin MN with his wife Amy and their 4 year old daughter, Lily. Chris grew up in Rugby, North Dakota and Graduated college from Minnesota State- Moorhead in Moorhead, MN with a degree in Health Care Management . Chris enjoys hunting, biking, sports, vacationing and spending time with his family. Thorne Crest is a not for profit, mission based provider of senior housing and healthcare proudly serving Albert Lea area for over 40 years.